Campus Commons is part of Ray Stone Senior Living, a family of communities dedicated to creating housing solutions for seniors. Our goal is to free our community members from the daily tasks of home care, so that they may choose to spend their day as they wish. One and two bedroom apartments offer all the comforts and privacy of home, with emergency pull cords and individual climate control, for optimal comfort. Many have patios and balconies with a view of the trees, gardens, and natural beauty of the gated landscape. Life at Campus Commons can be as busy or as laid back as the mood requires. There is always something happening within the community, whether it is a symposium with the Renaissance Society, a Tai Chi class, or some appetizers and good conversation on the patio. Sacramento’s temperate climate makes a round of golf, galleria shopping, or an early morning stroll a year round pleasure. A shopping trip off campus may include a stop by Trader Joe’s or the Midtown Farmer’s Market, a spree at Nordstrom Rack, or a run to CVS. Local dining serves up everything from a plate of hash browns at Eggie’s, to a juicy porterhouse at Ruth's Chris Steak House. Campus Commons welcomes the soon to open Raley’s Center with CVS and Starbucks directly across the street. 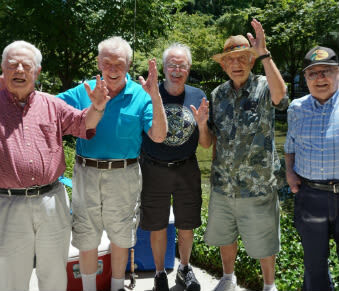 Campus Commons Senior Living is more than just housing. 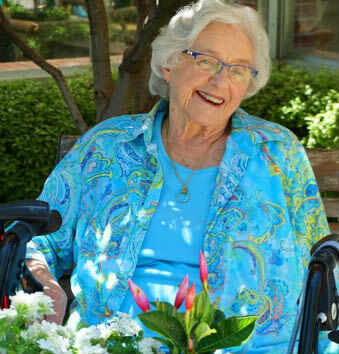 We strive to provide a comfortable and pleasing environment in which seniors can attend to what matters. We are a place to strengthen the body and the mind among friends and neighbors, as well as a private space to call home. Contact us today to arrange for a tour. We look forward to answering your questions about the possibilities of senior living at Campus Commons.